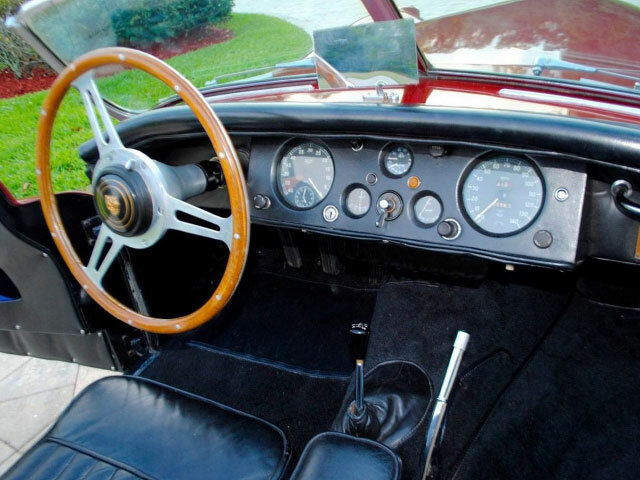 This is a superb example of this world-renowned British Marque offered for sale after full mechanical and cosmetic restoration. 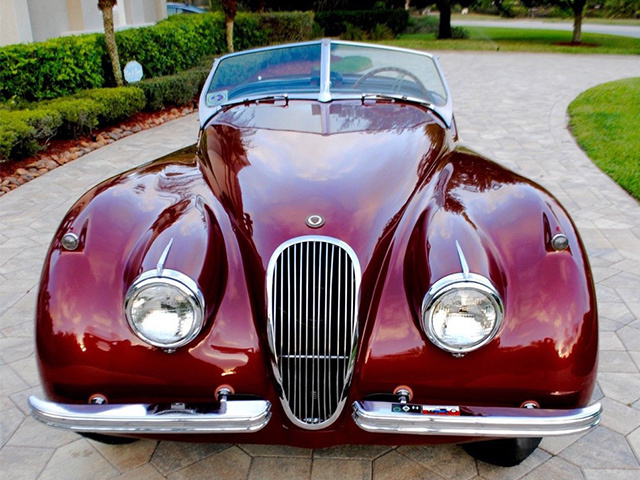 Over 60 years after it first caused a sensation at the 194 8 London Motor Show , the Jaguar XK120 Roadster is still one of the most widely recognized automobiles in the world. 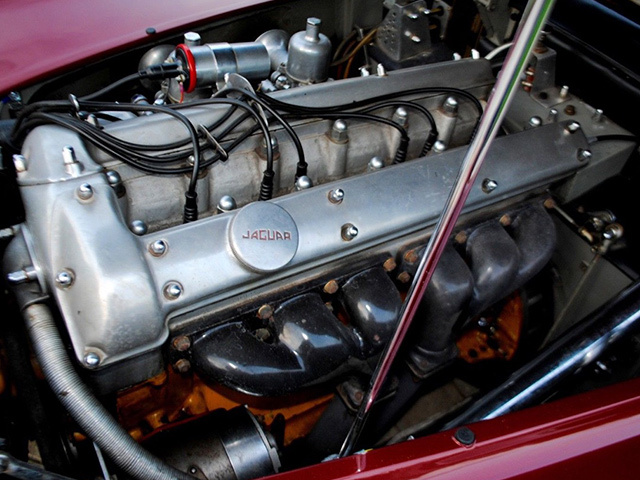 The XK120 was originally conceived as a showcase for company’s new 3.4L XK twin overhead cam in-line six cylinder engine, which was finalized in 1948 and intended for use in the upcoming MKVII saloon. 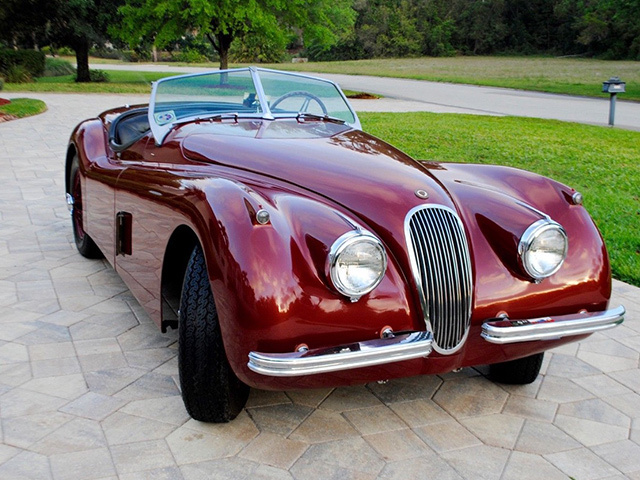 The XK120 proved immediately popular, and gained famed with racing hero Stirling Moss at the wheel. 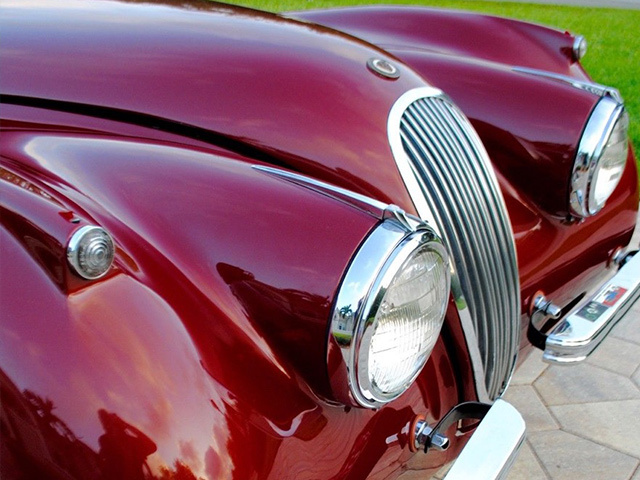 At the time, the XK120 was the world’s fastest production automobile. 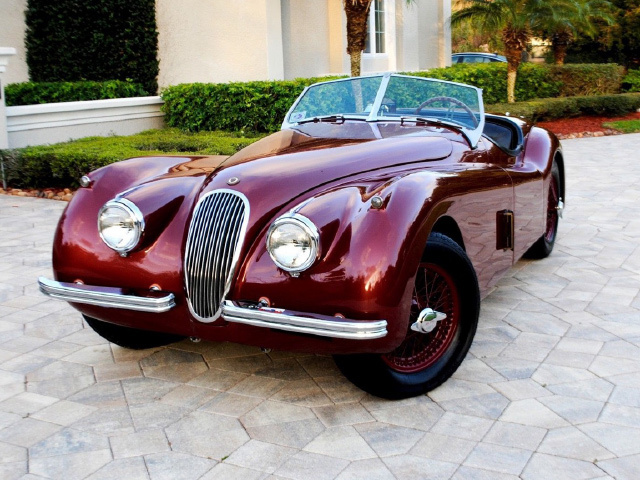 This rare Jaguar XK120 SE (only total of 6,437 built) was first delivered to it’s first owner in Los Angeles (Hollywood), California in August of 1954. 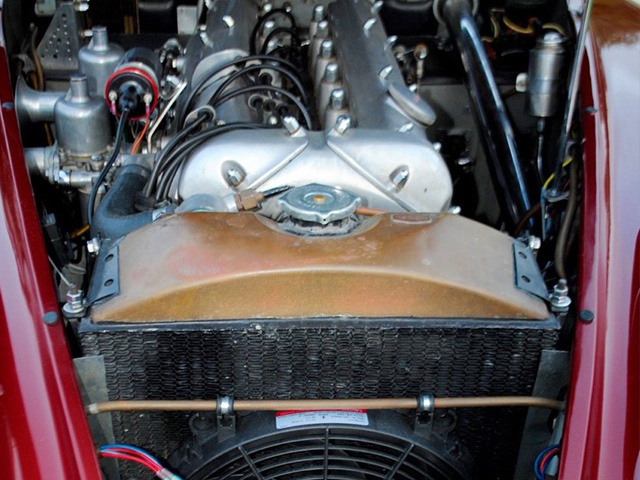 It is powered by a matching numbers 3.4L in-line six producing 180 hp. 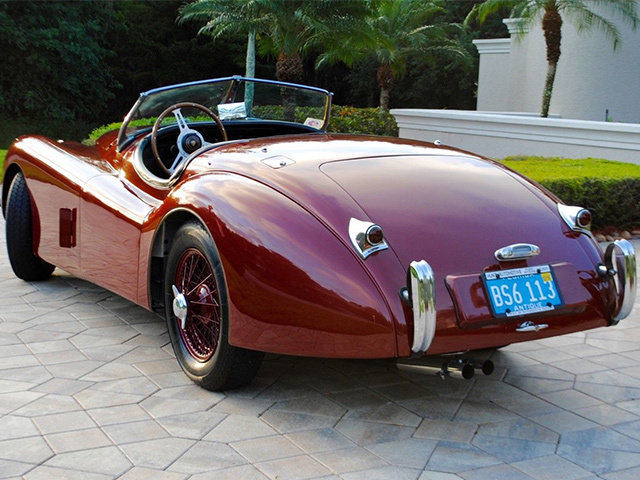 According to the records, this XK received a prior restoration and had been shown at Pebble Beach and Hillsborough Concours. This car has lived it’s entire life in California and Florida. The actual mileage in unknown, the odometer shows 05565 miles. 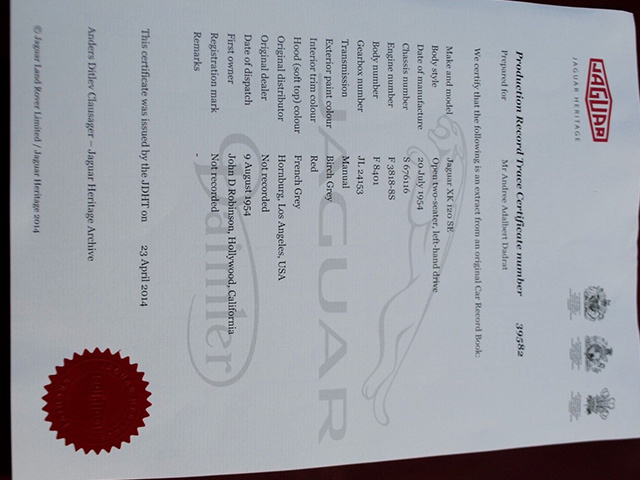 It is an all numbers-matching car and we have included the corresponding Jaguar Heritage Certificate as issued by the Jaguar Heritage Trust. 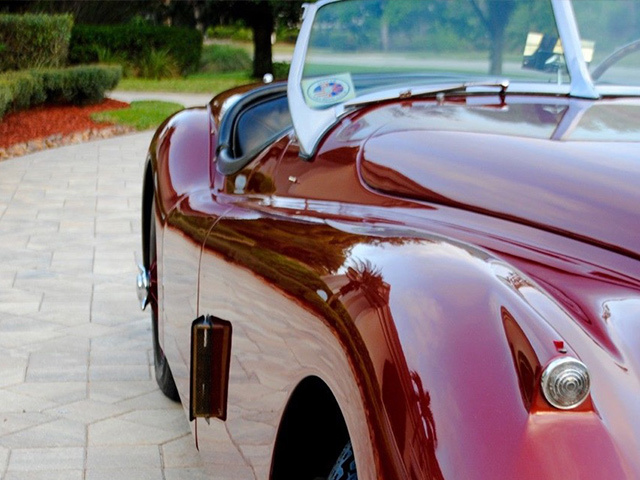 This rust-free roadster was originally finished in a Birch Grey with Red Interior, and the car was repainted in 2010 in stunning Imperial Maroon with the interior fitted in Traditional Black. 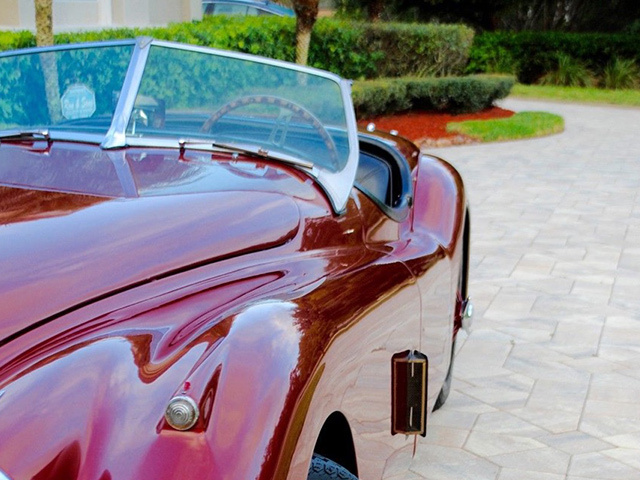 It is an impressive color combination that shows off the beautiful and graceful lines of this Classic. So many of these cars are white or light pastels that do not do justice to the remarkably fluid design. 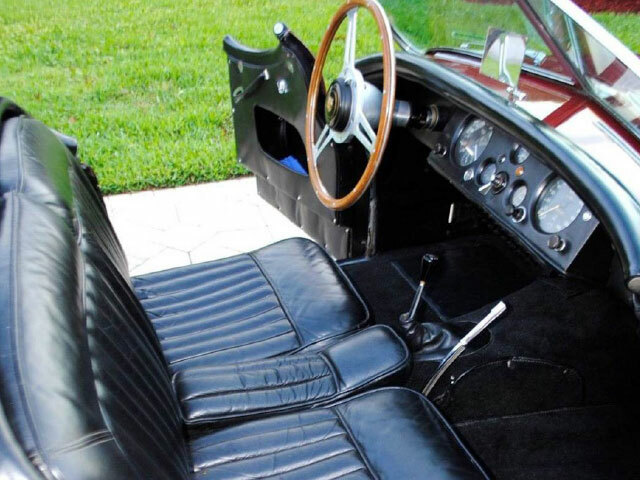 The car interior leather is in beautiful supple condition without tears or cracking. 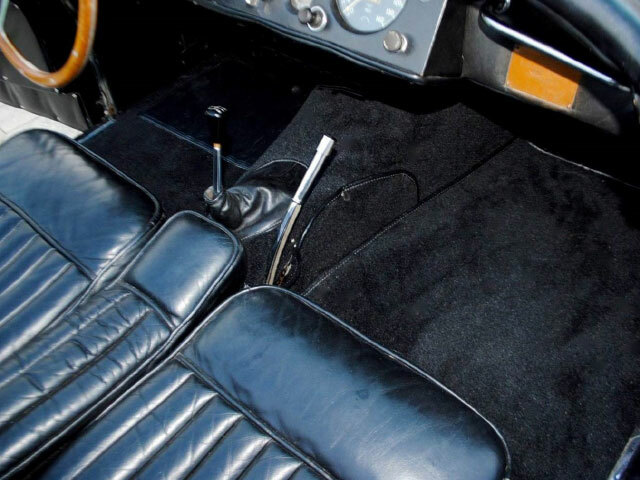 New carpets have been recently provided and the dash and door panels are excellent. 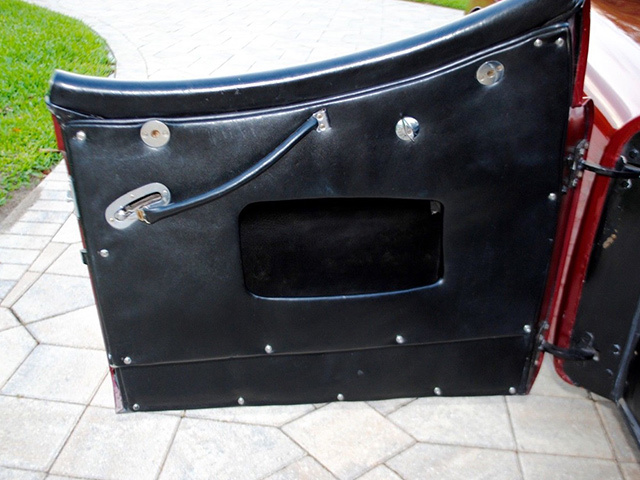 The car is fitted with a new black tonneau cover as well. 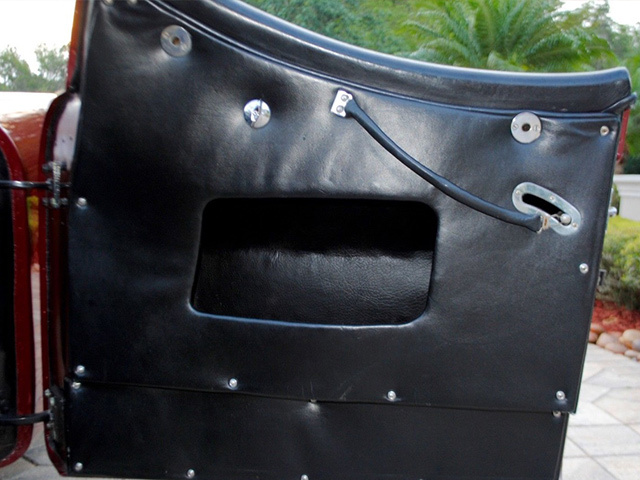 There is no hood, or side curtains provided with this car. 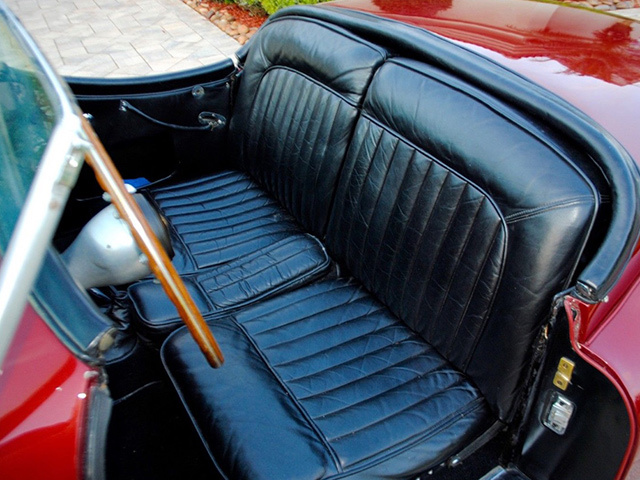 This lovely Roadster also features a built-in bar behind the driver’s seat! 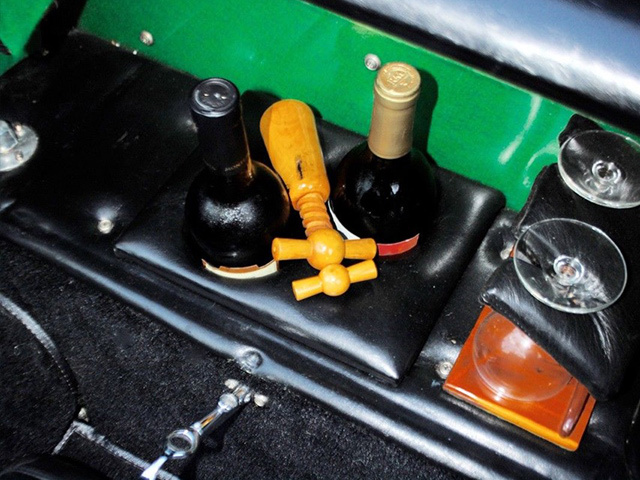 Room for two bottles and two glasses, neatly packed for your weekend getaway! 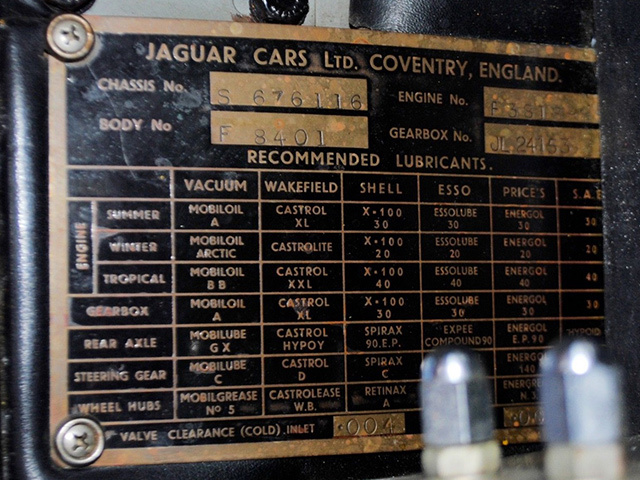 The strong 3.4L runs out smoothly, revs smooth and strong and maintains great oil pressure. What fun to drive! A heavy duty electric fan has been fitted to provided excellent cooling and drivability in our Southwest Florida summer weather. All gauges and lights work properly. 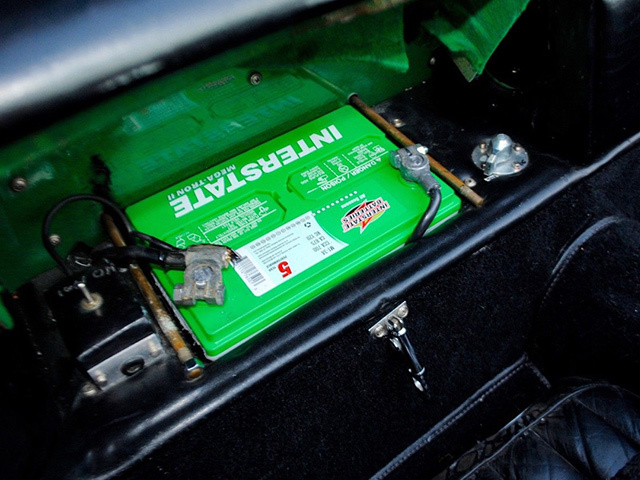 The car has been modified to a 12V system and fitted with a battery on-off switch (a great feature for the collector), as well as a bank of toggle switched for the electric fan, fuel pump, electric choke, turn signals and lights. 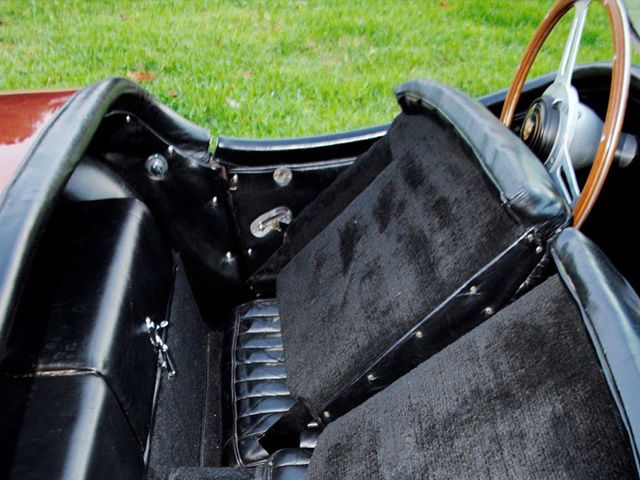 This is a stunning surviving example of this classic. The paint and body are excellent. 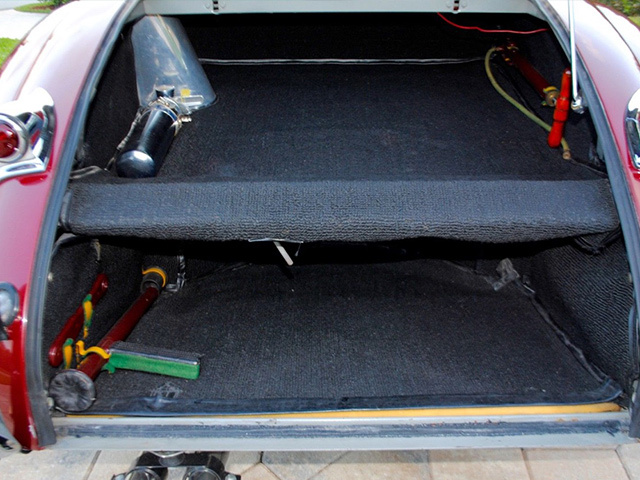 The interior and boot are also in great shape. 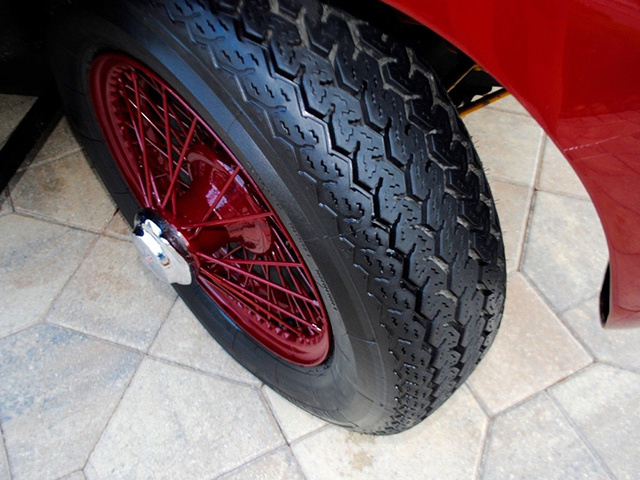 There is no spare wheel/tire provided with this car. 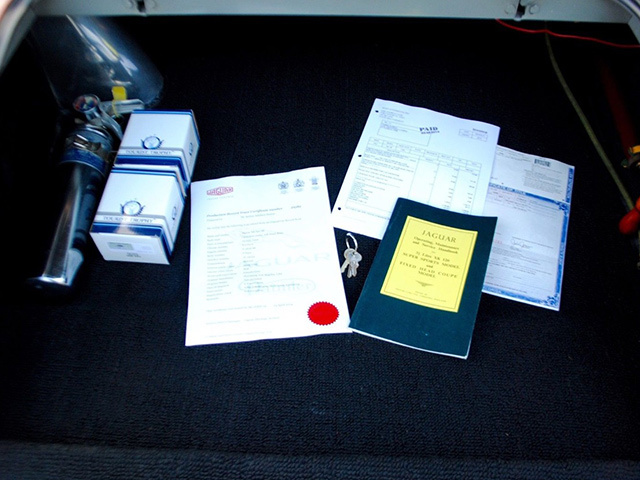 The car includes the XK120 Owner’s manual, original jack, tyre pump and spare keys! 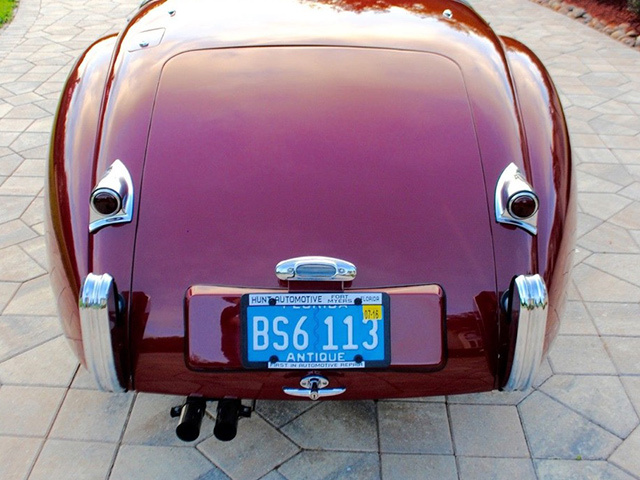 NEW COMPLETE STAINLESS STEEL EXHAUST SYSTEM – SOUND IS WONDERFUL!